I live in San Diego, CA. I am married to a wonderful husband of now 7 years. 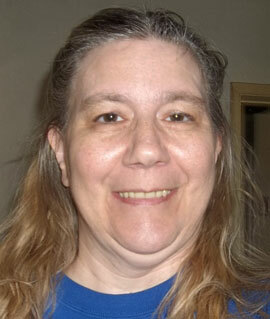 I moved to San Diego in 1995 from Wausau, WI. I have 2 wonderful daughter and 1 grand-daughter, with 1 on the way, so I will be a new grandma again in October. Peggy Marzano's Turquoise Bracelet contains a turquoise cabochon wrapped with sterling silver and twisted 14kt gold filled wire. I wanted to make a bracelet with a Turquoise in and I wanted to mix some sterling silver and 14k gold filled wire with it. I had this in my head what it would look like, but I never imagine that it would look this great! 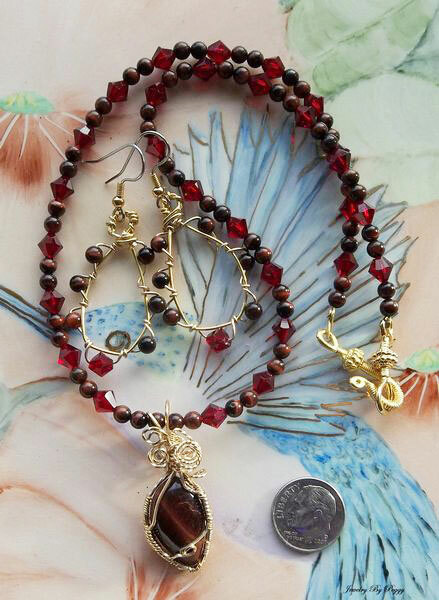 This necklace and earrings set is made with red tiger eye beads, red crystal beads, and 14kt gold filled wire by Peggy Marzano. I was working as a courier for a company for 9 years and in March of 2006, I found out that I have degenerative disc disease and now arthritis in my back. Mostly in my lower and upper back. 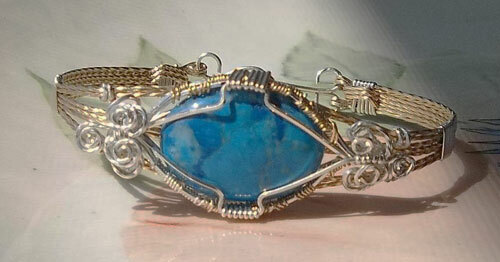 I had learned about wire wrapping cabochons on Facebook last year in Jan. 2011. I also found the Wire Sculpture page, along with watching on Dale "Cougar" Armstrong on TV and I wanted to do what she did. So I went to the website and bought her DVDs. She is a wonderful teacher! 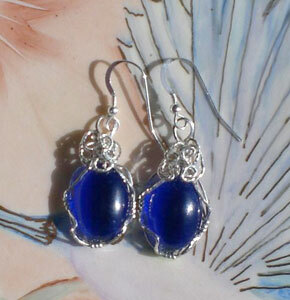 Peggy wrapped these 18x13mm Blue Cats-eye cabochons in sterling silver wire. I love creating jewelry in different types of gemstones and cabochon. I thank God every day for my talent. It was first my hobby and now I have been selling my jewelry for a while now. 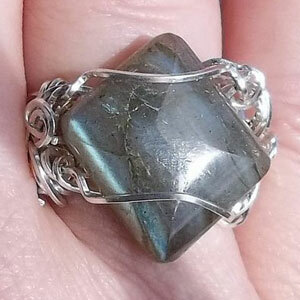 Peggy wrapped this angular Labradorite stone with sterling silver wire into a beautiful ring. I am available for jewelry parties, and I have sold a lot of my work on Yardsellr through Facebook with my jewelry page at Jewelry By Peggy. 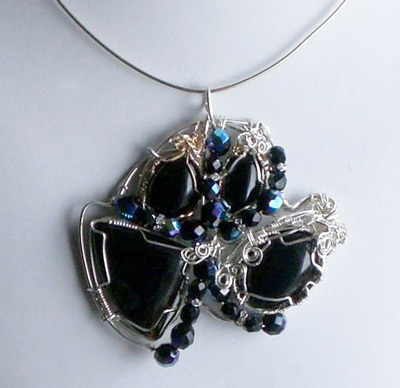 Black Onyx & Lace Pendant, wrapped by Peggy Marzano, includes 2 black onyx and 2 black lace agate cabochons, and AB Jet Crystal beads. The concept of the multi-cab piece is great; try connecting the stones to one another within the same frame, rather than just connecting the frames to one another. I really like the choice of stones/cabochons; I would like to suggest that the wire used be chosen in relation to the stones. (For example, a smaller gauge might enhance the beautiful stone more.) Great imagination!